A prayer garden needs no explanation; gardens have been places for prayer and meditation almost since the first flower bloomed on earth. They are places to behold the beauty of God and to seek God’s companionship. What is that for? One “walks” a labyrinth. It isn't a maze- only one path with no dead ends, tricks or traps. There are twists and turns, representative of life’s changes and new directions, so it serves as a metaphor for the spiritual journey. As one walks, one prays. The journey to the center may be a time to quiet the mind and seek the presence of God. Many walkers linger at the center, seeking the illumination of the Holy Spirit or opening themselves to the presence of God. In leaving, the walkers follow the same path that brought them to the center, still praying, yet taking with them what blessing, insight or answer to prayer they might have received. Labyrinths have been used by Christians as a walking meditation practice since at least the Middle Ages. It was a common practice among Christians to make a pilgrimage to the City of Jerusalem. Because of war and political turmoil during that time, the journey became quite dangerous. People still had the deep desire to make a pilgrimage, so the church designated seven cathedrals as places of pilgrimage. In 2012, Independent Presbyterian Church purchased property to the east of its 3100 Highland Avenue South building for the labyrinth and prayer garden. Architect and IPC member Andrew Hicks of ArchitectureWorks, LLC designed the seven-circuit octagonal pattern drawing inspiration from the labyrinth inside Amiens Cathedral in France. He selected sandstone pavers to match the existing building. An oak tree was planted to provide sun and shade throughout the entire year. Benches were also added, as well as other plants, to provide a quiet, private place for meditation and prayer. The labyrinth was awarded the American Institute of Architects Birmingham Chapter Merit Award in Detail in 2016.  The labyrinth became the inspiration behind the church's new logo, which was unveiled February 2018. A Modern Brand team under the leadership of IPC member Michael Bell created the design after seeking to find a unique and timeless mark encompassing architecture, faith and nature. 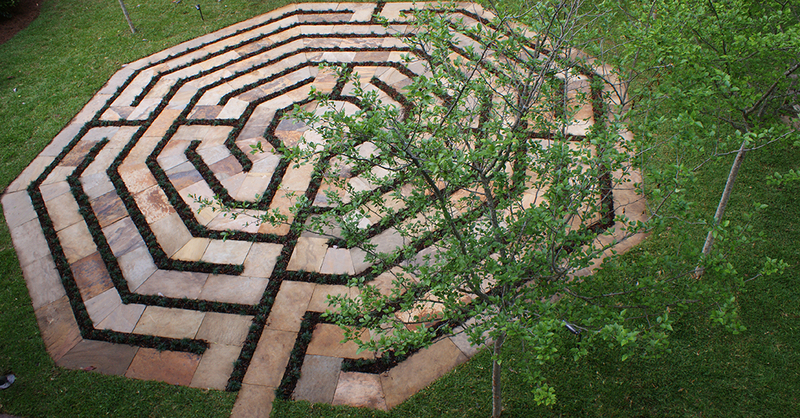 The labyrinth design also speaks to IPC’s mission, ministries and members; and honors it past, present and future. The labyrinth and prayer garden is not only be a space for IPC members to walk and pray, but also a way to reach out to the community around us as we extend an invitation to anyone who may wish to come and pray.